The Mass Effect games by Canadian developer Bioware have always offered a good mix of role-playing and combat, together with a good dose of exploration and interesting sci-fi stories to boot. And since the latest game in the series Mass Effect Andromeda will be released in a couple of weeks, Bioware has been putting out a series of gameplay videos covering different aspects of the game, such as combat weapons and skills in one preview video, while another covered the exploration side of this latest Mass Effect game. And the preview video below focuses on combat profiles and squads, also showing off the different skills players will be able to utilize in the game. These skills belong to one of three categories: combat, tech and biotics, while each can be either active or passive. What’s interesting is that this latest Mass Effect game doesn’t have a class system as such, rather players can specialize by picking whatever skills they prefer. The game does have “profiles” though, which give bonuses to certain skills like biotics, as is the case of the Adept profile. 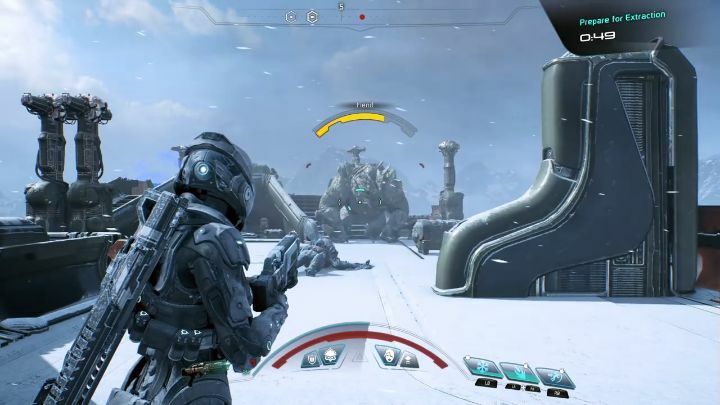 Also interesting are the squad dynamics in the game, as player’s squad members can be ordered to defend specific locations or attack certain targets like in earlier Mass Effect games, but it is also possible to team up with them to execute “Power Combos” in order to seriously hurt the enemy. And it’s clear by this video that Mass Effect Andromeda gives plenty of ways for players to customize their characters, while it also appears to feature some pretty complex third-person combat. It remains to be seen, though, if all this adds up to another great sci-fi game from Bioware, something we’ll know for sure when the game is released in a few weeks’ time.